If you or your loved one suffered harm because your doctor failed to diagnose pharyngeal cancer, you might have grounds for a medical malpractice lawsuit. If your doctor misdiagnosed your pharyngeal cancer or failed to diagnose it in time, you could be entitled to compensation through a medical malpractice claim. As this type of cancer grows, it becomes more difficult, painful, and expensive to treat. That makes early detection, diagnosis, and treatment critical. If this situation happened to you or a loved one, a pharyngeal cancer misdiagnosis lawyer can help. The lawyers at Medical Malpractice Help can help you file for medical malpractice and go after the compensation you deserve for your doctor’s wrongdoing. We offer free case evaluations, so we can answer all your questions, discuss our approach to pursuing damages, and go over what you should do after your doctor misdiagnoses a condition. Call us at 855-633-2757 today. We Might Be Able to Hold Your Doctor Accountable for Misdiagnosing Your Pharyngeal Cancer. Throat cancer, including pharyngeal cancer, has a long list of common symptoms. A diligent doctor is aware of these and knows to order further testing when a patient presents them with no other obvious cause. Some symptoms of pharyngeal cancer have other causes, many of them less serious than cancer, and a careless doctor might attribute your symptoms to a different condition. A mistake like this, however, can cause you to suffer injury, and it can even put your life at risk. That is why a misdiagnosis can be considered medical malpractice. Aside from its symptoms, pharyngeal cancer also has several risk factors, which can make a patient more likely to develop the condition at some point. A diligent doctor screens for these factors and is able to recognize them, particularly when they exist in combination with one or more of the above symptoms. If you have at least one risk factor for pharyngeal cancer and went to your doctor complaining of a symptom associated with the condition, your doctor should have been tipped off right away to the possibility of pharyngeal cancer. He or she should have ordered further testing to confirm or refute those suspicions. If you presented symptoms associated with pharyngeal cancer, risk factors for the condition, or both, your doctor should have noticed, and he or she should have ordered further testing so that it could have been either ruled out or confirmed. By failing to do so and causing you harm, your doctor might have committed malpractice. Our job as medical malpractice lawyers is to make sure you recover fair compensation for what you have been through. Our Lawyers Can Help You Fight for the Compensation You Deserve. Doctors have a duty of care to their patients. As long as we can establish that you had a doctor-patient relationship, we can show that your doctor had a duty of care to you. In the medical profession, the reasonable person standard can establish if a breach of duty occurred. Under this standard, we would compare your doctor’s actions—or lack of action—to the actions we would expect from a reasonable physician in the same situation. In other words, would another doctor have made the proper diagnosis if he or she had access to the same evidence? If so, your doctor might have violated the standard of care and committed medical malpractice. For medical malpractice to have occurred, your doctor must have caused you injury by failing to uphold his or her duty of care. We can prove this by showing how your cancer progressed during the weeks or months that followed your doctor’s misdiagnosis. Last, we must list the economic and non-economic damages you suffered because of the pharyngeal cancer misdiagnosis. Economic damages include current and future medical bills and lost income from work, while non-economic damages include pain and suffering and emotional anguish. Our attorneys will investigate your medical malpractice case to obtain evidence of each of these four facts. 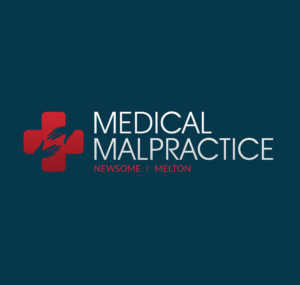 Once we can prove that malpractice occurred and document the value of your damages, we will file a claim or lawsuit against the at-fault doctor. We will try to negotiate a medical malpractice settlement on your behalf, but if that process fails, we can file suit and take your case to trial. To Schedule Your Free Consultation With a Medical Malpractice Lawyer, Call 855-633-2757 Today. At Medical Malpractice Help, our team wants to help you fight for your rights and try to recover the damages you deserve. If your doctor misdiagnosed pharyngeal cancer in you or your loved one, call us today at 855-633-2757 to set up a free case evaluation.